There is no greater challenge - or opportunity - for Vermont than to change the way we use and produce energy. By making smart energy investments, we can save money, build our energy independence, create jobs and reduce our carbon footprint to help preserve the beautiful landscape in which we live. 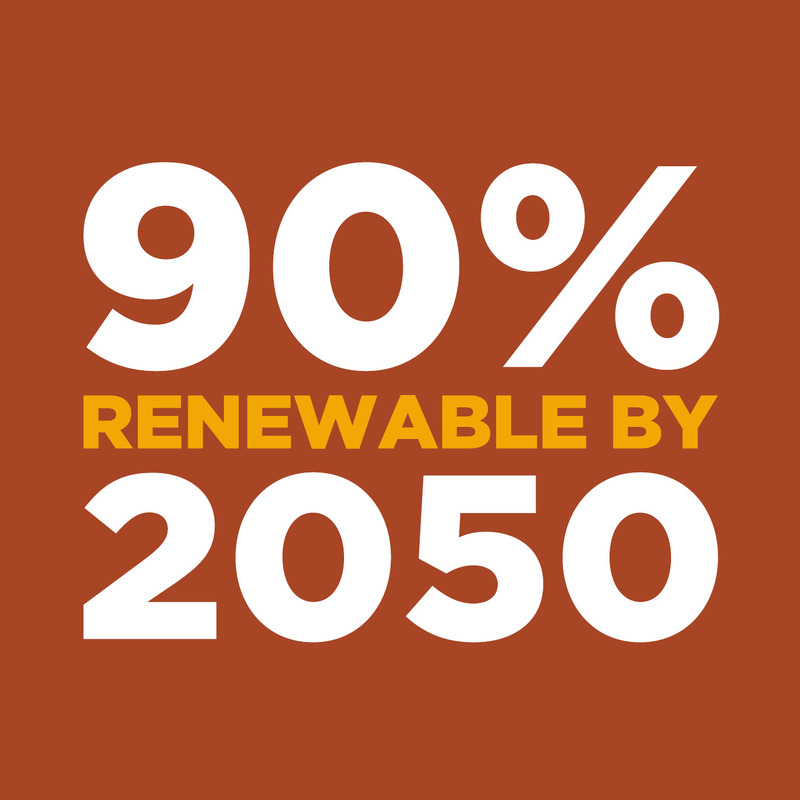 The State of Vermont established a bold goal in 2011 through its Comprehensive Energy Plan: to meet 90% of Vermont’s energy needs from renewable sources and increased efficiency. Meeting this goal will require a comprehensive approach to virtually eliminate Vermont’s reliance on fossil fuels, which we can do through conservation and enhanced efficiency along with greater use of clean renewable sources for electricity, heating and transportation. Energy Efficiency: Use Less and Save Money: This helps businesses and residents reduce their total energy use (heating, electricity and transportation) while increasing their use of renewable energy (solar, wind, wood, biofuels, etc.). Transportation Transformation: About half of the fossil fuels used in Vermont are for transportation, and the transformation of this sector will require greater emphasis on public transportation options, shifting to electric and alternative fuel vehicles, and reducing vehicle miles traveled. Comfortable Homes, Affordably Heated: In addition to making our buildings more energy efficient, new heating technologies can save money and use renewable energy instead of fossil fuels. These include cold-climate heat pumps, wood pellets and other biofuels. Expanding Renewable Electricity: This energy transformation will generate greater demand for electricity in the coming years as transportation and heating shift to efficient electric alternatives. As Vermont makes this transition, we will need new sources of renewable electricity through solar, wind, hydro (and more) to meet this shifting demand.